Bruce was saved at the age of six one evening after family devotions. It was at the age of six when Lisa’s mother also led her to the Lord. Both Bruce and Lisa attended Baptist University of America in Atlanta, GA graduating with a Bachelor degree. Bruce and Lisa were married in August of 1984. 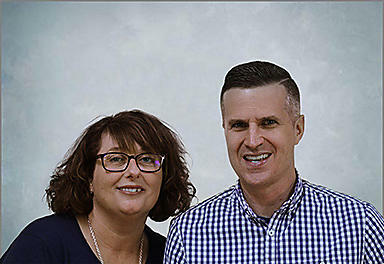 God has blessed them with three adult children: Jared, Lindsay, Matthew From 1984 to 1988 Bruce served as the assistant pastor of Grace Baptist Church in Bridgeport, WV. After completing his MDiv at Calvary Baptist Theological Seminary in Lansdale, PA God directed the Burkholders to Mexico City. During ten years of ministry there God used them to plant the Iglesia Bautista de Fe and the Seminario Teológico Bautista Independiente. Bruce and Lisa joined EBI in 2005. Since 2011 Bruce has served as the EBI General Director. Lisa serves in Reception and in the Shipping Department. In 2018 Bruce completed a D.Min. degree in Missions from Trinity Evangelical Divinity School, in Deerfield, IL. Cynthia was saved at the age of nine after being invited to church by her next door neighbors. At the age of ten, after hearing her very first missionary story of Amy Carmichael, the Lord began a work and desire in her heart to one day become a missionary. Cynthia attended Trinity Baptist College and University of North Florida in Jacksonville, FL, graduating with a Bachelor’s degree in Secondary Education. After a missionary trip to Mexico City in 1997, the Lord impressed upon her heart that the time had come to begin her missionary journey. She returned home, resigned from her job and began preparations to join the team in Mexico City. From July 2001 to Jan 2013, Cynthia served with several church planting teams in Mexico City primarily in Children’s ministry and leadership training, through the equipping of lay people to effectively teach and administer a children’s ministry. While serving on the mission field she completed her MA in Church Ministries, at Calvary Baptist Theological Seminary, in Lansdale, PA. Cynthia’s studies focused on Biblical Counseling, helping to fill a need on the mission field. Since 2013 when Cynthia joined the EBI team, she has served as the Coordinator of Children’s Materials while still serving on the field of Mexico City. At the age of seven Gary received Jesus Christ as his personal Savior in a fundamental Baptist church in Wellington, Ohio. Bernice was in the sixth grade when she was invited to a Christmas program at a Bible Protestant church. It was there that she heard the gospel for the first time and received Jesus as her Savior. Gary and Bernice attended Shelton College in New Jersey in preparation for serving the Lord as teachers. It was there that the Lord called them into full time service in Venezuela. After graduation and marriage, Gary attended the Grand Rapids Baptist Seminary and Bernie taught school in Michigan. 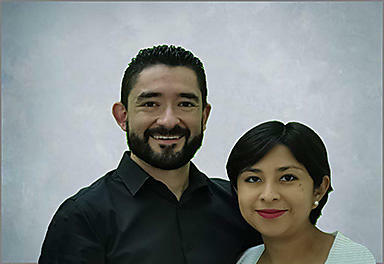 The Hillikers served in Venezuela as church planters for fifteen years. In 1986 Gary became the General Director and Bernice the Office Manager of Baptist Mid-Mission’s Spanish literature ministry EBI in Florida. After fifteen years as General Director, Gary became the Director of International Development. Bernie has a BA in Elementary Education. Gary earned a BA in Secondary Education; a MDiv in Pastoral Studies and in 2009 was granted a Doctor of Divinity degree from the Colegio Universitario Bautista de Puerto Rico. Gary went to be with the Lord in 2013. Bernice serves as Office Manager. Darrel was born in a pastor’s home, so the Word of God was a constant part of his life. On a Sunday evening when he was six, Darrel asked Christ to be his Savior. Lori grew up attending a Gospel-preaching church regularly. One evening after their family devotions, when she was six or seven, Lori asked Jesus to be her Savior. They met at Faith Baptist Bible College. Darrel and Lori were married in 1983. While Darrel was still a student at FBBC, he began a youth pastorate at First Baptist Church in Brayton, Iowa. While serving in Brayton, they were blessed with two children; Stephanie and Stacy. God has given them many opportunities to serve and learn over the years. Darrel worked for a photo typesetting and composition company while he was a youth pastor. Many times he questioned why he was working in a secular place when his desire was to serve the Lord full time. God knew what he needed to learn and how much time it would take. God prepared and called Darrel and Lori to a very specific ministry – the Spanish Publication Division of Baptist Mid-Missions (EBI). Darrel is the Production Manager of the EBI print shop and Lori helps in Accounts Payable. Shortly before reaching 5 years of age, Paul trusted Christ as Savior, led by his father, a pastor. Furloughing missionaries spent so much time in his home that Paul always dreamed of being a missionary. Elaine was saved during evangelistic meetings at 15 years of age. As the only Christian in her home, she sought spiritual growth in after-school Bible studies and the local church. They met while Elaine was in Nursing school, and Paul in Baptist Bible Seminary in Johnson City, NY where God also called them to missions. They were married in 1964 and have three children and 9 grandchildren. 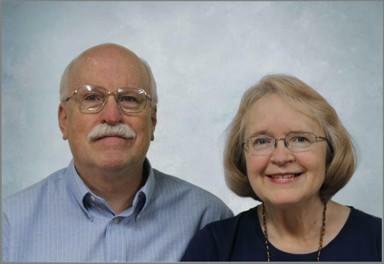 They joined Baptist Mid-Missions in 1965 and served 23 years in Peru and 13 years in Ecuador before returning to the States and planting a Hispanic church in Winston-Salem, NC. In April 2013 they joined EBI where Paul serves as Coordinator of Distribution. After the divorce of his parents, Armando moved to Mexico City where he and his mother began to attend a Baptist church. At the age of 8 years old he trusted Christ as his Savior. Years later, Jessy began attending the same church as Armando and at the age of 15 God opened her heart to the Gospel and she trusted Him as hher Savior. They were married in December 2012 and God has blessed them with three children. Armando studied for his undergraduate degree in Theology at the Seminario Teológico Bautista Independiente en México. he continued his studies at Piedmont International University completing a Masters in Biblical Studies degree and currently he is pursuing a Masters in Biblical Counseling at the Seminario Teológico Bautista in Lima, Peru. Jessy has her Bachelors degree in music education from the Universidad Nacional Autónoma de México. Together they have served the Lord in various churches, currently serving in Durango, Mexico where Armando es on of the pastors at the Iglesia Bautista Gracia Soberana. jessy serves with him in the areas of music and youth. Armando serves as the International Commercial Representative for EBI. Richard grew up in the Dominican Republic where his parents were missionaries. 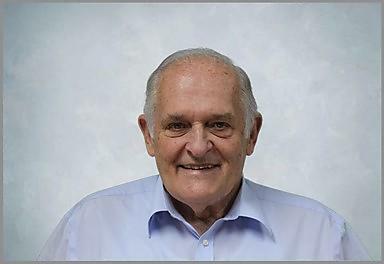 He accepted Christ as Savior in 1962. Sheila was raised in Iowa and accepted Christ in 1965. They met at Faith Baptist Bible College from which they graduated in 1975. After graduation, they were married. They now have 3 children and 4 grandchildren. In 1982 they went to the Dominican Republic as missionaries where they worked for 8 years in church planting and the Bible Institute. They have now worked at EBI for 19 years. Richard is the Project Manager and IT Coordinator. Sheila works in Accounts Receivable. Beulah was born in Eudora, Mississippi. 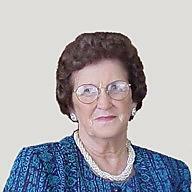 When she was about ten years old she joined a Baptist church, but did not have the assurance of her salvation until 1954 after reading John 5:24. At the age of seventeen while still in high school, she married Otis Pinkston. Ten years, and three children later, Beulah and Otis arrived in Mexico where they served the Lord for forty-four years. Beulah worked alongside Otis in Florida for approximately three years in the early 80’s revitalizing EBI. Beulah did proofing of manuscripts as well as the typesetting for books. When the Pinkstons returned to Mexico in 1985, Beulah was named language consultant by the board of EBI. 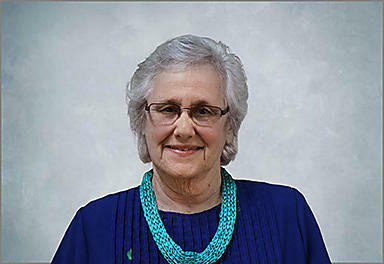 She retired from BMM in December 2006 but continues to serve as Spanish Editor. 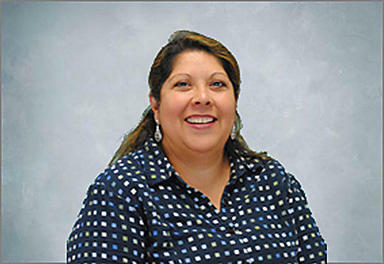 Beulah also serves in the Hispanic ministry of Central Baptist Church in Memphis, Tennessee. John had the privilege of growing up in a Christian home. At age 5 he made a profession of faith but doubted his salvation until his freshman year of Bible College when he made a life-changing decision to trust the Lord. Debbie’s family was involved in ministry. She attended Christian School but didn’t realize her need for a Savior until her senior year. She trusted Christ during a school retreat. John and Debbie met during their first year at Piedmont Bible College. They dated their entire four years of college and prayed together about missions. After John took a summer mission trip to Peru and Debbie took a mission trip to Scotland they both knew God was calling them into full-time missionary service together. John and Debbie were married in December of 1995. In 1998 after a few years of secular work the Poes joined Baptist Mid-Missions, completed deputation and language school and arrived in Peru in October 2001. John and Debbie served in Peru for nearly 14 years. During those years they were able to help with planting two churches and with ministry in a Christian School. 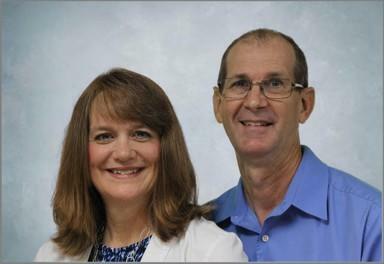 In July 2016 the Poes relocated to Sebring, Florida to join the ministry of EBI where John serves as the Business Director. God blessed the Poes with their daughters Elizabeth during language school and Olivia during their first term in Peru. Dianne was raised in a liberal protestant denomination never having an understanding of a personal need of salvation. She married her husband Phil in May of 1969. Phil was raised a Roman Catholic; both came to know the Lord Jesus as Savior after about seven years of marriage. Phil and Dianne graduated from Tennessee Temple University in Chattanooga, Tennessee, in 1988. Phil graduated with a Bachelor of Religious Education, majoring in missions. Dianne graduated with a Bachelor of Science, majoring in Christian Education. 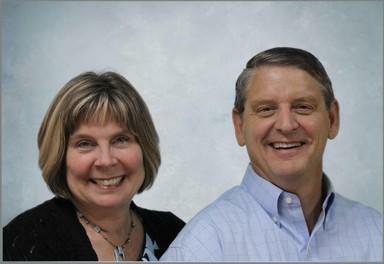 Phil and Dianne previously served in Jamaica, the Slovak Republic and Ireland. In December 2005, they began serving with EBI. Phil and Dianne retired in July of 2013. Phil is now working on the maintenance staff at Maranatha Village. 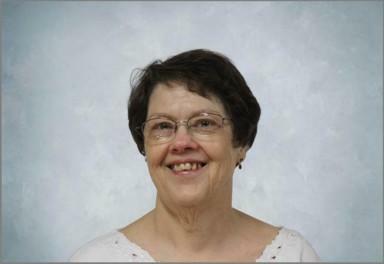 Dianne, though technically retired, is still serving at EBI as the Shipping Room Clerk. They have two sons, a daughter-in-law and one grandson. Gary and Penny were high school sweethearts and married right out of high school at 18 years of age. Two years later after the birth of their daughter, Amanda, God began to move in their lives as they were confronted with the enormous weight of raising a child. Penny, who had some Bible knowledge, opened up her Bible one evening as they sat at home. They both began to read and the Holy Spirit convicted them both of their need for a Savior. Together they knelt beside their bed and asked God to save them. That began a changed course in their lives. Convinced that God was calling them into ministry they moved to NY to attend Practical Bible Training School in 1977. After graduation from PBTS Gary continued his studies at Washington Bible College. Gary also took courses through Grand Rapids Baptist Seminary correspondence classes and graduated from Baptist Bible Seminary with his M.Min. 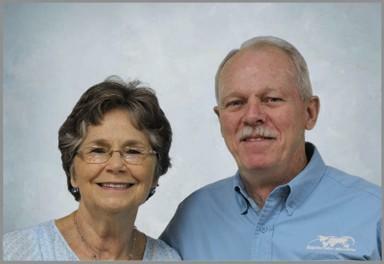 They became missionaries with Baptist Mid-Missions in 1983 and left for Peru in 1984 where they served for 30 years. Their ministries there included planting three churches in Lima, teaching at various Bible Colleges and conducting “Effective Bible Teaching” Conferences. Gary teaches the Evangelism Course for the ARRIBA program in Peru. The Whipples were distributors with EBI from 1994 to 2014, so it was a natural transition for them to come to work at the office. Gary is Director of Growth and Development. Penny works with Graphic Design and Spanish Editing. Helen Wing was born and raised in Grand Rapids, Michigan. She was raised in a Christian home and saved at the age of five. While in high school, she gave her life to the Lord for whatever He wanted her to be. Following graduation from Cedarville College with a degree in Elementary Education, she taught in a public school for two years – at which time she was introduced to the ministry of Missionary Kids’ Education. She went to Fortaleza, Brazil, in 1967 to teach at the Fortaleza Academy for one year. It was during that year that the Lord confirmed in her heart that this was what He wanted her to do with her life. 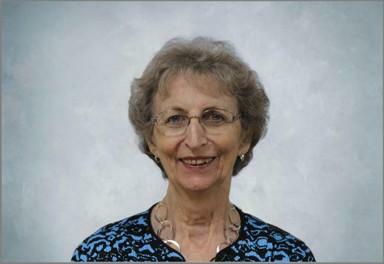 She served the Lord with MKs and in the local churches for nearly 40 years. In 2009 the academy closed and Helen returned to the United States seeking another avenue of ministry. In July of 2010, she joined the staff of EBI as the Assembly Room Coordinator in charge of the volunteer staff.